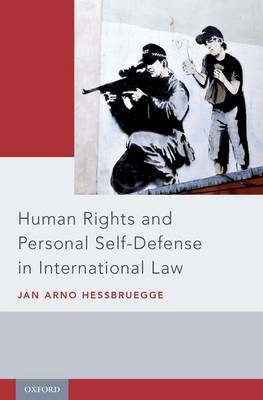 While an abundance of literature covers the right of states to defend themselves against external aggression, this is the first book dedicated to the right to personal self-defense in international law. Drawing on his extensive experience as a human rights practitioner and scholar, Dr. Hessbruegge sets out in careful detail the strict requirements that human rights impose on defensive force by law enforcement authorities, especially police killings in self-defense. The book also discusses the exceptional application of the right to personal self-defense in military-led operations, notably to contain violent civilians who do not directly participate in hostilities. Human rights also establish parameters on how broad or narrow the laws can be drawn on self-defense between private persons. Setting out the prevailing international standards, the book critically examines the ongoing trend to excessively broaden self-defense laws. It also refutes the claim that there is a human right to possess firearms for self-defense purposes.In extraordinary circumstances, the right to personal self-defence sharpens human rights and allows people to defend themselves against the state. Here the author establishes that international law gives individuals the right to forcibly resist human rights violations that pose a serious risk of significant and irreparable harm. At the same time, he calls into question prevailing state practice, which fails to recognize any collective right to organized armed resistance even when it constitutes the last resort to defend against genocide or other mass atrocities.